I was looking at my smoothie recipe and the nutrition information when i realized minerals are from the earth. The earth and humans are one and equal in the sense that we get the minerals we need from plants and the plants get it from the soil – the earth nourish all of us unconditionally. This will tell us humans – defined by their mental capacities – cannot be ‘better than” the earth. We are one and equal as animals, plants etc. because our bodies are being sustained by the earth. Have you experienced not eating for a day? When i was hospitalized about 20 yrs ago -after a minor operation, i ate stirfried tofu with veggies immediately after they brought me to my room. I found out that i was not supposed to do that – and ideally i should wait for the intestines to work – meaning i will wait until i pass stool before i eat. I vomited the food i ate – so the doctors advised me to just take intravenous feeding with dextrose – with no solid food , just ice, for 21 days. I grew so thin, and what was ‘surprising’ was that i was not able to think. I tried meditating – as i was doing meditation then – but i cannot imagine the guru on top of my head or the colors and symbols in the cakras . The fact is , i stop seeing them when i stop imagining them – they cannot be real – they only exist in my imagination. My mind is dependent on something to function – which is food and food comes from the soil/earth. Animals eat food that grows from the soil or from carcasses of other animals – the nutrients of which come from the soil/earth. Plants get food nutrients from the soil/earth. Humans get nutrients from the food they eat. 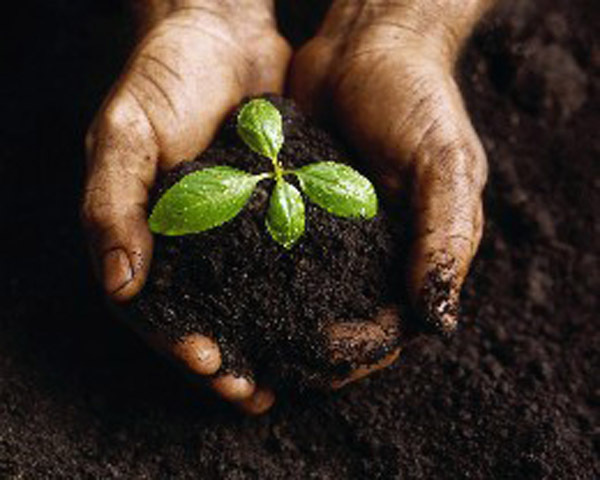 The nutrients from our food – which can be plants or animals come from the soil/earth. We as humans are not the king in the animal world. The fact that we think and reason does not make us superior to plants or animals. We depend on food energy- which comes from the food we eat for mind to have energy to function. The mind takes energy from our body’s energy. We have to look at how we can stop our mind chatter so that the body’s energy will not be used this way. Rather, we have to look at simply living as who we really are one and equal as all life. I would like to do self-forgiveness for perceived separation from the soil. I will also do self-forgiveness for judging the soil as less than humans because it is inanimate – and for forming a belief that humans are better than other life forms – because we think and reason. I forgive myself that i have accepted and allowed myself to believe that because the soil is inanimate – it has no life – not realizing that Life is not defined by physical movement nor audible voices. Life is all.